Shopping around for a Penticton web design agency? You may have noticed that there’s no shortage of web designers in Penticton -or anywhere else in Okanagan for that matter. With seemingly unlimited selection of agencies to choose from, plus a wide array of self-help technology and resources available online, some find it surprising that any web design company in Penticton can get by. Website designers will openly admit that some of the process on its own isn’t really that technical, once you know how. Maybe you’ve already explored the ‘do it yourself’ option and decided it just wasn’t a viable option for your business. How much does a website cost? Getting an answer to that question from some Penticton web design companies can be a long, drawn out and maybe even painful experience. Hate game playing? We do, too. While we aren’t claiming to offer the lowest web design rates in Penticton, we will not avoid questions around pricing with a bunch of hot-air and double-talk. We understand that most Penticton businesses are after the best value -versus the ‘cheapest’ price. As our past customers will tell you, we can deliver a great corporate image and brand messaging in a way that will create a memorable experience for your website visitors. Our website designs are mobile & search engine friendly and will deliver outstanding value. We’re a locally owned Penticton website design company and we love helping Penticton businesses with their online needs. It’s okay to admit you’ve considered asking a friend or family member to build you a website, even while they’re far from qualifying as a professional web designer. Maybe that nerdy cousin of yours insists that she can build you a ‘very decent’ website for practically nothing. This is all too common. We all have that certain person in our family or circle of friends that builds websites for pizza and beer. These types of website marketing solutions, as tempting as they are, will fail to impact your business in any way. Cheap websites have many attributes in common; they contain badly written content, often with spelling and grammatical errors; contain a poor content structure, with pages that load slowly; and when all is said and done, not only will these websites not generate returns, but they may turn buyers away in frustration. Professional web developers have skills and understanding on how to provide your business with a professional image, create a solid plan to produce web traffic, and ultimately get your phone ringing. After all, a website is completely pointless if it cannot produce sales or leads for your business. Don’t get caught building or redesigning a website without first considering how people will come to find their way to your site. 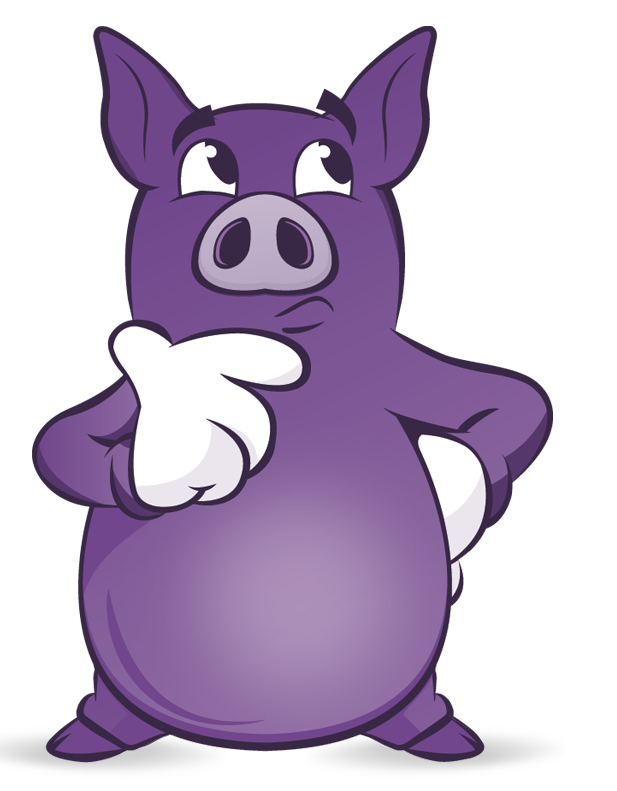 At Purple Pig, we consider all of your targeted keywords when designing your new website. A properly optimized website means that its core structure and contents are easily indexed by major search engines; that the site was constructed with a “keyword first” approach. This style of website construction, using SEO best practices, has always been one of our top priorities. A very common misconception among new website owners is that somehow their website should just automatically appear on search engine results pages and visitors will start flowing in. Ranking for competitive keywords, at the very least, will require a proper structure with unique content on your topic of choice. Remember that there’s only room for 7 to 10 results on Google’s page 1. Does your business have more than 7 competitors that are wanting to rank there? Whether you’re attempting to draw visitors from Penticton or around BC, you may find it challenging to achieve a top ranking search result for keywords, particularly if your site is new to the online world.